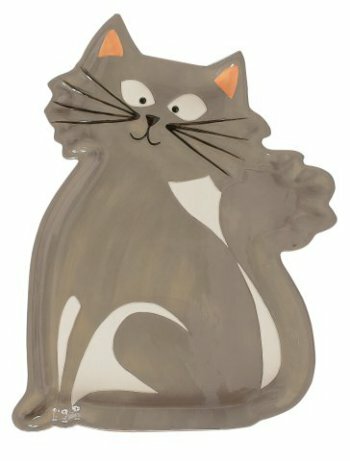 This large cat-shaped serving platter makes serving at your next party or potluck more fun! The platter has separate sections for its face, tail, and body making it perfect for serving items with dip such as chips and salsa or veggies and ranch. The platter's friendly smiling face is inviting and fun! For more information about the cat serving platter, click here. Do NOT Kick Snow At The Cat. The Revenge Of The Animal Video Of The Day!! !